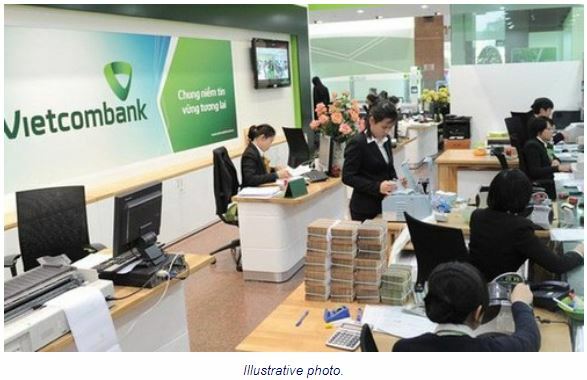 The Hanoitimes� – This is a major step for Vietcombank, Vietnam’s largest lender by market value, to increase its charter capital by nearly 3.6 trillion (US$153.4 million) to VND39.5 trillion (US$1.7 billion), local media reported. The State Securities Commission of Vietnam (SSC), the country’s stock market watchdog, has confirmed the receipt of Joint Stock Commercial Bank for Foreign Trade of Vietnam (Vietcombank)’s proposal for the offering of its 10% stake to foreign investors. Vietcombank currently holds a 6.97% stake or 150.6 million shares in MB, and an 8.24% stake or 101.2 million shares in Eximbank.